Earlier chapters focused on aggregate demand and economic growth. 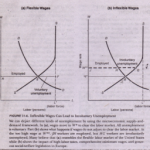 This section describes the factors determining aggregate supply, which is critical for under-‘Standing the evolution of the economy. In the short Tun, the nature of the inflationary process and the effectiveness of ,government counter cyclical policies depend on aggregate demand. In the long run of a decade or more, economic growth and .rising living standards are closely linked with increases in aggregate supply. 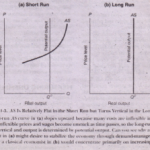 This distinction between short-run and long-run aggregate supply is crucial to modern macroeconomics. In the short run, it is the interaction of aggregate’ supply and demand that determines business-cycle fluctuations, inflation, unemployment recessions, and booms. But in the long run, it is the growth of potential output working through aggregate supply which explains the trend in output and living I standards. Let’s start with a few definitions. 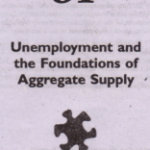 I that’ aggregate supply describes the behavior of the production side of the economy. The aggregate supply curve, or AS curve, is the schedule showing the lev.elof total national output that will be produced at each possible price level, other things heing equal. In analyzing aggregate supply, it is crucial to distinguish AS curves according to the period. The short run of lip to a few years involves the short-run aggregate supply schedule. 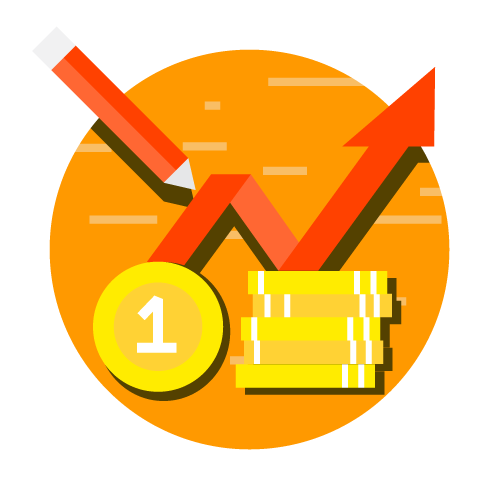 Aggregate supply in the short run is seen as an AS curve-one along which higher prices are associated with increases in the production of goods and services.